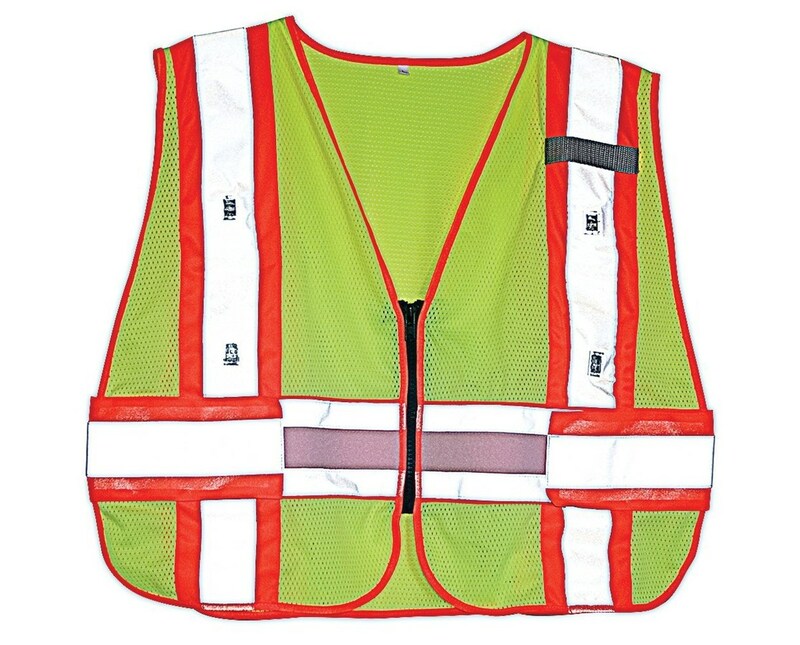 The Aervoe LED Safety Vest is an essential safety tool ideal for a wide range of applications including surveying, highway and road construction, emergency response, and utility work. It provides additional visibility appropriate for moderate risk environments such as poor weather conditions and traffic approaching over 25 mph. 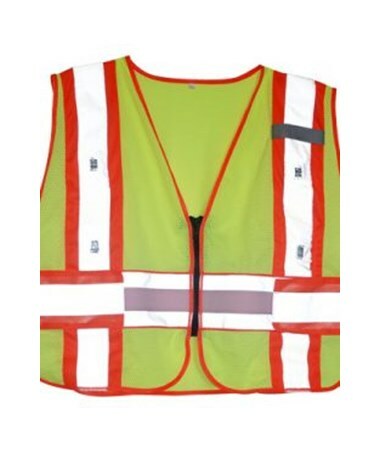 This ANSI Class 2-compliant Aervoe safety vest is made of highly visible 100% polyester mesh material. It includes two vertical reflective stripes that run front to back over the shoulders and one horizontal stripe running across the waist. These two-inch wide reflective tapes are embedded with eight LED lights, four in the front and four in the back, to increase their visibility. 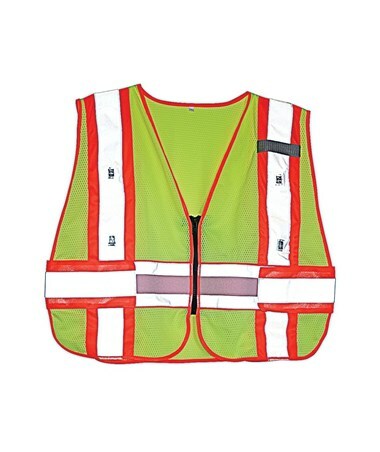 The Aervoe LED Safety Vest requires two AA batteries to operate (not included in the package) for 100 hours. It is equipped with a heavy-duty zipper front closure and sides that are adjustable with hook and loop straps. It comes in striking fluorescent yellow color and offers two sizes to accommodate most safety needs. The Aervoe LED Safety Vest comes in two different sizes to suit various safety applications. Please select your preference from the menu above.